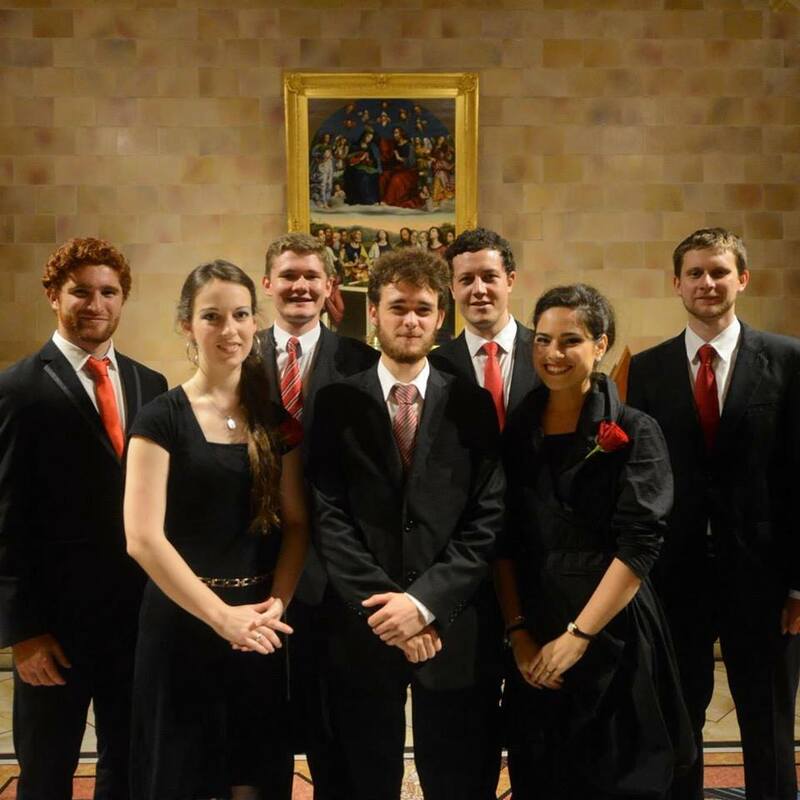 Prima Luce is a group of nine young Catholic musicians who released this excellent CD of Christmas choral music in 2014 as part of their wish “to promote the beauty of the Catholic Church’s musical patrimony” (quoted from their website at http://www.primalucemusic.com). I think they have succeeded wonderfully well. Underpinning their beautiful singing is their heartfelt reverence for both music and texts. They have the gentle unforced choral sound with minimal vibrato one associates with the English cathedral choir style. It is fresh, youthful and clear. They pay great attention to detail and they have superb phrasing with magical pianissimos and excellent intonation throughout. One soon senses that they are singing these works in the spirit of prayer and this brings a unique quality to their performance. They certainly breathe new life into the traditional carols they have included, and I was moved by the beauty of their renditions of Away in a Manger, Silent Night, Gabriel’s Message, and entranced by the pure angelic tones of the soprano soloist (Rioghnach McCaughan) in Once in Royal David’s City. One sometimes forgets how lovely these traditional carols actually are, when one is repeatedly force-fed revolting Americanised arrangements of them in shopping malls during the Christmas season! The eight members of Prima Luce look quite young in their photos shot down in the golden light of the crypt of St Mary’s Cathedral where the recording was made (a good choice incidentally, as the warm acoustic is most rewarding with just the right amount of reverberation). They have not included biographical details in their attractive but totally unpretentious CD booklet (or on their website) but the bass Ronan Reilly is conducting in one of the shots. He has also contributed four fine compositions of his own for this CD: In Bethlehem, Ecce Virgo, Behold a Simple Tender Babe (which one can watch at https://www.youtube.com/watch?v=0N0Km6TMFak) and an arrangement of the anonymous canon Jubilate Deo. They are all based on traditional styles. The 18 tracks are an interesting mix – solos, four-part composition with just four soloists, males only, or the full choir. All are a cappella except the final Bist du Bei Mir (Stötzel/Bach) which has a tenor solo and organ accompaniment. 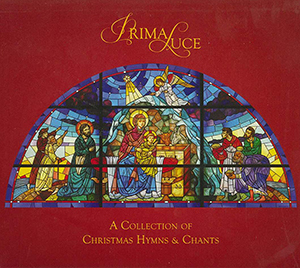 Prima Luce’s mission includes a desire to grow the Church’s musical tradition and three members of the group have contributed original compositions: Christus Natus Est by Xavier Piat, Wonderful God the Prince of Peace by Meagan Griffith and Ronan Reilly ‘s four works mentioned earlier. None explore new ground stylistically but all are skillfully written and suit the small size of the group. Veni, Veni Emmanuel, Dominus Dixit (Introit from Christmas Midnight mass), Hodie Christus Natus Est, Puer Natus and Lo, How a Rose E’er Blooming of Praetorius d.1609, Ding Dong Merrily and Gaudete complete the offering. One can watch four male members performing Gaudete at https://www.youtube.com/watch?v=bIKZttfA6_I. This is a most attractive CD. This is a skilled and dedicated group and it will be interesting to follow its progress.